The tax reform framework favors businesses by drastically cutting tax rates on corporations from 35% to 20% and pass-through entities from 39.6% to 25%. Pass-through entities (PTEs) include sole proprietorships, S-Corps, LLCs taxed as partnerships, general partnerships, and limited partnerships. These entities pass income and loss to the owner’s tax return. It’s wise for businesses to consider deferring income to take advantage of lower business tax rates in 2018 and accelerate business expenses to 2017. Even if Congress fails to pass tax reform, you’ll benefit from the time value of money. Based on the tax reform framework, it’s uncertain if a trading business would be eligible for the lower PTE rate. There are nuances to consider for a trading business eligible for trader tax status (TTS) vs. a non-trading business. Officer compensation and employee benefit deductions work differently for S-Corps, partnerships, and C-Corps. I recommend an S-Corp structure for a TTS business to unlock employee benefit deductions including health insurance and retirement plans. You need to execute 2017 officer compensation with these deductions included before year-end, so don’t miss the boat! W-2 wages should include health insurance premiums for 2% or more owners, which means the trader/owner and spouse if both provide services. (Attribution rules apply.) The health insurance premium component is not subject to payroll taxes. The S-Corp owner takes an AGI deduction for health insurance premiums on the individual tax return. Some traders use a dual entity structure: A trading partnership and separate management company organized as a C-Corp or S-Corp. The management company should execute year-end payroll and health insurance deductions. A C-Corp management company may deduct health insurance premiums and health reimbursement accounts directly on the corporate tax return and don’t include it in payroll like the S-Corp. The trading partnership should pay administration fees to the management company before year-end. The IRS requires S-Corps with underlying earned income (i.e., investment advisory fees or consulting fees) to have “reasonable compensation.” Current industry practice is 25% to 50% of net income before officer compensation. The IRS does not require a trading S-Corp to have reasonable compensation because it has underlying unearned income. However, the IRS does look for officer compensation on all S-Corp tax returns. An LLC with earned income filing a partnership return or general partnership should use “guaranteed payments” for officer compensation. A partnership tax return with underlying earned income may arrange health insurance and retirement plan deductions in a similar manner to S-Corps. The IRS does not permit an investment company, not eligible for TTS, to have guaranteed payments and employee benefit deductions. If the S-Corp, TTS or non-trading business, is profitable, consider a Solo 401(k) retirement plan contribution. Execute the 100% deductible elective deferral portion through officer compensation in payroll. This wage component is subject to payroll taxes. Eligible trading businesses and other businesses should consider a Solo 401(k) retirement plan. For 2017, S-Corp officer wages of $144,000 unlock the maximum $54,000 contribution/deduction or $60,000 if age 50 or older with the $6,000 catch-up provision. The 100%-deductible elective deferral up to $18,000, or $24,000 with the catch-up provision, provides the greatest income tax savings vs. payroll tax costs. You can set wages to cover the elective deferral amount, which limits payroll taxes. The 25%-deductible profit-sharing plan up to $36,000 is good if you have sufficient cash flow to invest in tax-free compounded growth within the plan. Businesses that achieve consistently high income can arrange a $100,000+ contribution/deduction with a defined-benefit plan (DBP) if the owners are close to age 50. Business owners should work with an actuary on complex DBP calculations. Solo 401(k) and defined benefit plans must be established before year-end, but you can do most of the funding in the new year. Setting up a DBP can take several weeks, so get started by early December. Traders should maintain eligibility for TTS as long as possible, whether as a sole proprietor, S-Corp, or partnership. If you formed a trading S-Corp mid-year 2017, it helps deflect potential IRS challenges if you continue into 2018. If you have wash sale loss deferrals at year-end on trading positions in your account, claim sole proprietor TTS for 2017 and 2018 if possible. A Section 475 election for 2018 will convert the wash sale loss deferral on TTS positions into an ordinary loss on Jan. 1, 2018. That’s much better than a capital loss in 2018. The IRS said it might change the effective date of a Section 475 MTM election to “freeze and mark” the day it’s elected, rather than taking effect retroactively on Jan. 1. 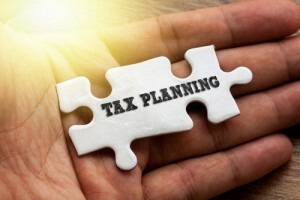 The IRS also said it might change the character of Section 481(a) adjustment (required for a Section 475 election) to capital gains and losses, rather than ordinary income or loss. Businesses may select an accounting method for recognizing the timing of revenues and expenses. Most small businesses choose the cash method, which reports revenues when collected and expenses when paid. It’s a more straightforward accounting system, providing flexibility in tax planning. Companies with inventory may or must use the accrual method, which records revenue when earned and expenses when incurred. Cash method taxpayers can defer gross revenues and accelerate expenses more easily than accrual method taxpayers. Employees should talk to their employers about deferring their bonus to 2018. If you own a small business, consider postponing completion of client engagements and invoice them in 2018. Cash method taxpayers can hold off on collection efforts until 2018. Be aware of the “constructive receipt of income” rules: If you receive income for services, you have to report it. (You cannot put a check in a drawer and report it later!) If a customer attempts to pay you for services and you decline receipt, it may be constructive receipt of income. Businesses can expense new tangible property items up to $2,500 per item, a great way to defer income. Purchase and begin using TPE items before year-end. Arrange separate invoices for each item not exceeding $2,500 and be sure to make the de minimis safe harbor election with your tax return filing. For equipment, furniture and fixtures above the tangible property threshold ($2,500), use Section 179 depreciation allowing 100% depreciation expense in the first year. The Protecting Americans From Tax Hikes (PATH) Act of 2015 made permanent generous Section 179 limits. The 2017 limit is $510,000 on new and used equipment including off-the-shelf computer software. Buildings do not qualify for this deduction. The IRS limits the use of Section 179 depreciation by requiring income to offset the deduction. Look to business trading gains, other business income or wages, from either spouse, if filing jointly. Consider an addition or improvements to your home office like constructing more space, replacing windows, walls, and flooring. Depreciate residential real property over 39 years on a straight-line basis. If you rent or own an outside office, depreciation rules are more attractive. PATH created “qualified improvement property” — a new class of nonresidential real property, excluding additions like increasing square footage. Use 50% bonus depreciation on qualified improvement property placed in service in 2017. PATH extended bonus depreciation through 2019. “Use or lose” an S-Corp accountable plan before year-end for reimbursing business expenses paid individually, including home office expenses. LLC Operating Agreements and partnership agreements may provide that partners should deduct home office expenses as “unreimbursed partnership expenses” (UPE) on their individual tax returns. If you have an NOL generated in 2017, try to enhance it as much as possible and consider the two-year NOL carryback option — an excellent way to achieve quick tax refunds. Earlier tax blueprints discussed repealing NOL carrybacks and retaining the 20-year NOL carry forward. Consider selling some passive loss activities to convert suspended tax losses carried over from prior years into realized losses in the current year. Alternatively, you could spend more time on the business to meet material participation requirements, which generate non-passive losses. Passive-activity entity income or loss is part of net investment income (NII) for calculating the 3.8% net investment tax, which applies to upper-income taxpayers (modified AGI of $200,000 single, $250,000 married, and not indexed for inflation). The 2017 annual gift tax exclusion is $14,000 per person, per donor. The current tax reform framework repeals the federal estate tax starting in 2018, so the “unified credit” against the estate tax may become moot. The unified credit is reduced by annual gift amounts made over the gift tax exclusion. Twenty states currently have estate or inheritance taxes. Shifting income to family members can be a smart strategy. Be aware of the “kiddie tax” rules, which limit the benefit of moving too much investment income to young children, including qualifying young-adult children. Paying wages for teenage and adult children is an efficient way to avoid the kiddie tax rules, which apply to unearned income. According to IRS.gov, “Payments for the services of a child under age 18 who works for his or her parent in a trade or business are not subject to social security and Medicare taxes if the trade or business is a sole proprietorship or a partnership in which each partner is a parent of the child.” Also, you will save federal and state unemployment insurance and state workmen’s compensation on children under age 21. DCI is excludable from gross income providing the debtor is insolvent or filed for bankruptcy. If you are not insolvent or bankrupt, try to defer DCI taxable income to 2018. See my last blog post How Individuals Can Save Taxes For 2017 Before Year-End. If you have any questions on tax planning, contact your tax advisor for help. I’m encouraging our clients to sign up for our tax compliance service soon to begin year-end tax planning before Dec. 5, 2017. This entry was posted in Tax Changes & Planning and tagged tax planning on October 16, 2017 by Robert Green.